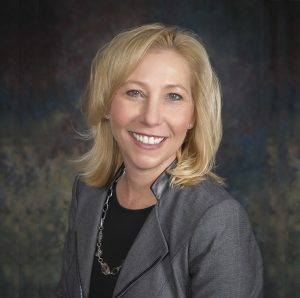 The Board of El Paso County Commissioners voted unanimously at its regular meeting on Thursday, March 21 to appoint Amy Folsom as County Administrator. Ms. Folsom will take over for Henry Yankowski, who announced his retirement for April 26, 2019. Her appointment will be effective once Mr. Yankowski retires. Amy Folsom has served as the El Paso County Attorney since 2012. In that role, Folsom managed one of the state’s busiest and largest County Attorney offices. She has defended the county against scores of lawsuits, provided legal advice on civil matters, land use and human services, and led 19 attorneys and 21 other staffers within her department. Before joining the County Attorney’s office, Amy Folsom served in the 4th Judicial District Attorney’s Office. She was a Deputy District Attorney from 1996 to 2005, and from 2005 to 2009 she was the Assistant District Attorney. While at the District Attorney’s Office, Amy Folsom managed a staff of 200 and worked on many of the region’s high profile and complex murder cases. She earned a BA in economics from the University of Notre Dame and a Juris Doctorate from the University of Minnesota Law School. Folsom is married to Russell Adkins, and has a blended family of five children.